Scottsdale was first home to the Hohokam people. They developed an exceptional irrigation system that allowed their tribe to prosper by farming the land. They lived on in the Scottsdale, AZ area from approximately 300 BC to 1450. A long drought is thought to have devastated their population eventually wiping them out. They were eventually replaced by the Pima people, who inhabit the area today. In the 1880’s, the Scotts brothers purchased land here and developed it for agricultural purposes. The city’s name was officially changed to Scottsdale by 1894. 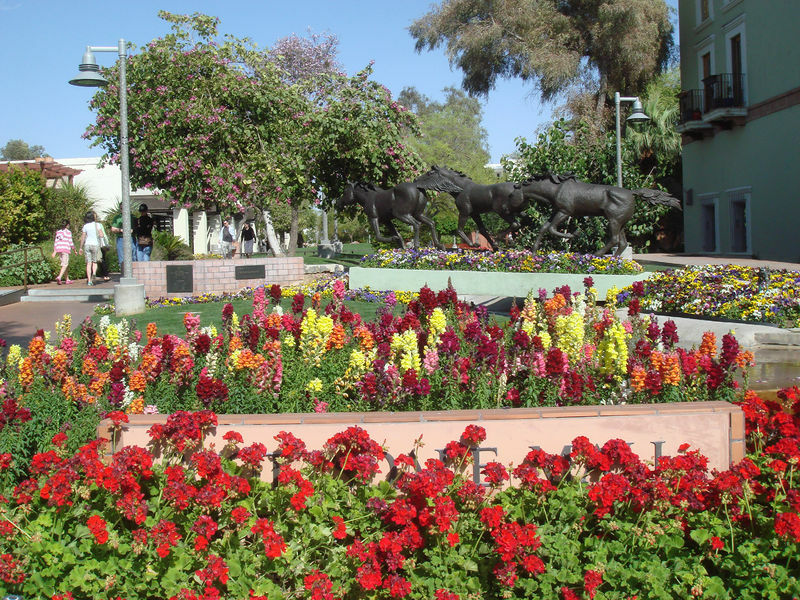 During the late 1800s and early 1900s, Scottsdale Real Estate grew. The city survived the World Wars and the depression only to further improve itself. Today it is the sixth largest city in Arizona, and it is called “the most livable city” by the US Conference of Mayors. Chaparral Park is a great area park which is convenient to many of the nearby Scottsdale Homes for sale. This park offers a ten acre fishing and boating lake along with a community center and swimming pool onsite. Sports options include lighted fields, soccer, basketball, and volleyball. Another great park, Eldorado Park and Community Center is home to two lakes, playgrounds, and picnic areas. Those with Scottsdale Homes can come to enjoy soccer, basketball, as well as volleyball. A skate park, swimming pool, 5K course, and amphitheater make this park stand out from all other areas parks. Scottsdale Homes are located near several attractions. One such attraction is Talesin West. This was Frank Lloyd Wright’s home and school during the winter months. The architect lived here from 1937 until 1959. The home is open daily from 9 AM to 4 PM. Go to www.franklloydwright.org for more information. Shoppers looking for Homes for sale in Scottsdale will be pleased to find the Scottsdale Fashion Square. This is an upscale mall with luxury shops and exceptional dining. It is open Monday through Saturday from 10 am to 9 pm and Sundays from 11 am to 6 pm. The Scottsdale Home Buyer will also find family friendly places such as the McCormick Stallman Railroad Park. Here you’ll discover a 15 inch gauge railroad, a railroad museum, a full size locomotive, and three railroad clubs. In addition, Scottsdale is surrounded by beautiful scenery and mountains waiting to be explored. Camelback Mountain, McDowell Mountains, and Pinnacle Peak are all lovely. 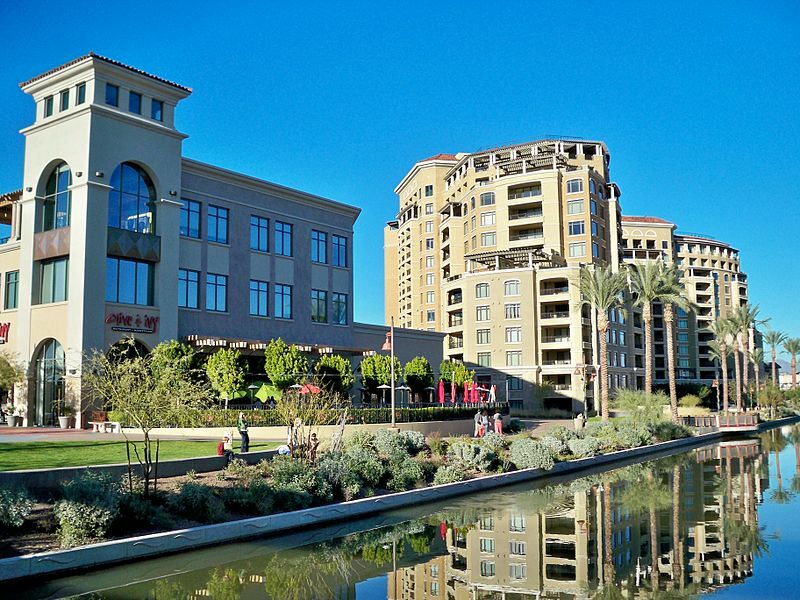 Your Scottsdale Realtor will point out that the area hosts numerous special events. Residents enjoy the Barrette-Jackson Antique Auction each year. The six day event includes not only antiques, but they have collectable cars and celebrity owned vehicles as well. Family fun is found at Lost Dutchman Days. For over 50 years guests have been coming for the rodeo, carnival, marketplace, horse auction, and entertainment. Details are found at www.lostdutchmandays.org.